Setting the table for meals – Placing the mats, plates and spoon is a task easy enough. Since my son is ten now, he can manage to place the food as well on the table. Help with grocery shopping and putting away groceries – My son doesn’t like to shop for groceries at all (and in any case most of it we order online) but I do involve him once a week in putting away some of the groceries to shelves and counters he can reach. Sort Laundry into Baskets – Sorting laundry is a cleaning task even younger kids can take on. I give my son one basket for colors and one for whites and put him to work sorting out the dirty laundry. Also, I let him add the washing powder to the washing machine. 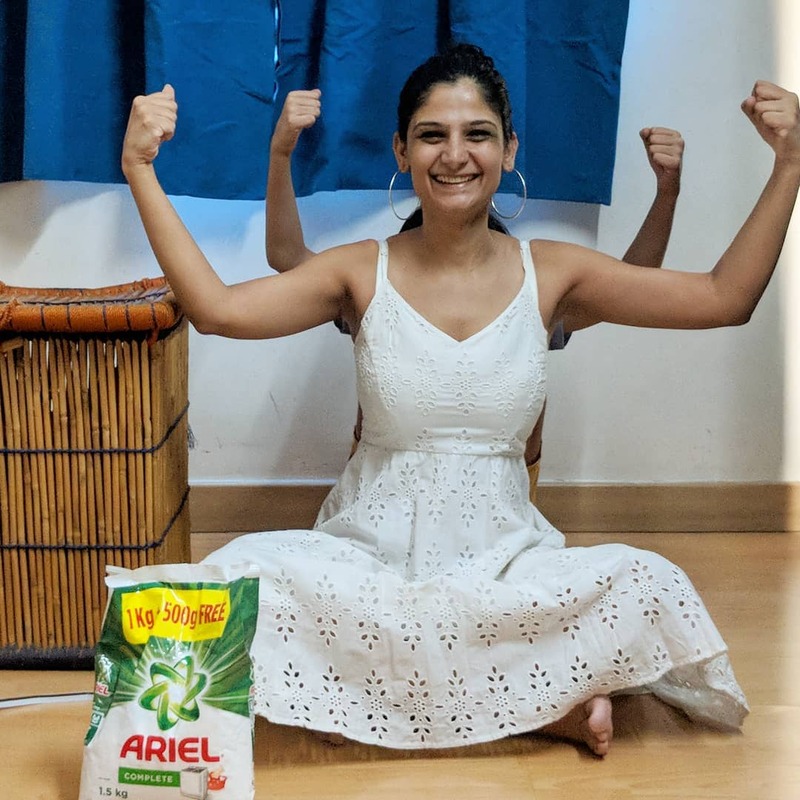 I use Ariel Matic and it works best as the stains of chocolate gravies, muds etc come out clean in one wash.
Help hang out clothes post washing – It’s easy and fun too. I find it easy to have conversations while doing this as he’s distracted and opens up quite a bit. Feed pets – Probably one task he loves doing on his own. It makes him immensely happy to feed our cat and makes me immensely happy in turn. Water the plants – We live in an apartment and have only about 15-20 plants. Watering them once a week is something that one can do but honestly, I haven’t yet manged to get it done more than a couple of times. The article has been written in collaboration with Ariel. I do take help from my son to dry clothes and fold them.. I let him do the center table arrangement as per his wish they love when we give them that freedom.. and that makes them want to do more help.